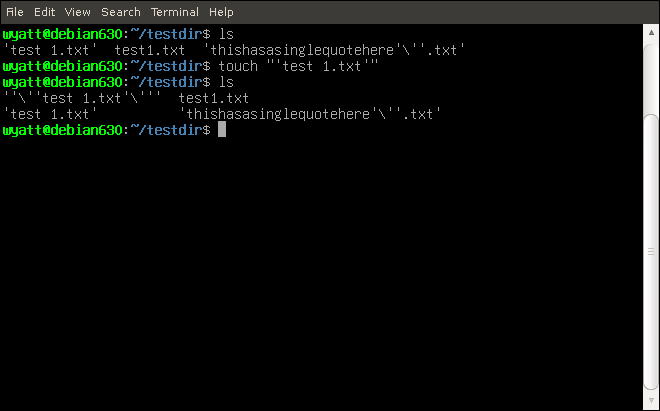 I just noticed that on one of my machines (running Debian Sid) whenever I type ls any file name with spaces has single quotes surrounding it. I immediately checked my aliases, only to find them intact. Why is this happening? How do I stop it properly? 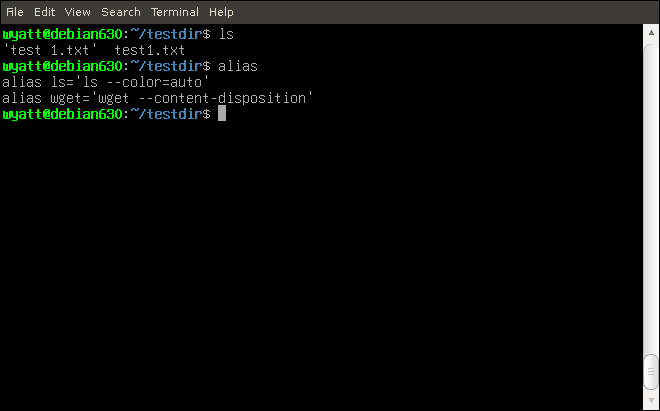 to clarify, I myself set ls to automatically color output. It never put quotes around things before. I'm running bash and coreutils 8.25. EDIT: Appears the coreutils developers thought (link) it would be a good idea to make that a global default despite breaking the principle of least astonishment as well as 46+ years of UNIX tradition. Any way to fix this without a recompile? I thought this was settled. Apparently not. UPDATE: April 2019: Just found a supurious bug report in PHP that was caused by this change to ls. When you're confusing developers and generating false bug reports, it's time to re-think your changes. Update: Android toybox ls is now doing something similar to this but with backslashes instead of quotes. Using the -q option makes spaces render as 'question mark characters' (I have not checked what they are, since they're obviously not spaces), so the only fix I have found so far without rooting the device in question is to add this to a script and source it when launching a shell. This function makes ls use columns if in a terminal and otherwise print one-per-line, while tricking ls into printing spaces verbatim because it's running through a pipe. Preface: While it may be quite satisfying to upvote an answer such as this and call it a day, please be assured that GNU developers do not care about SO answer votes, & that if you actually want to encourage them to change, you need to email them as this answer describes. Several coreutils developers decided they knew better than decades of de facto standards. "How do I stop it properly?" If you think you have found a bug in Coreutils, then please send as complete a bug report as possible to <bug-coreutils@gnu.org>, and it will automatically be entered into the Coreutils bug tracker. Before reporting bugs please read the FAQ. A very useful and often referenced guide on how to write bug reports and ask good questions is the document How To Ask Questions The Smart Way . You can browse previous postings and search the bug-coreutils archive. "Any way to fix this without a recompile?" …on all of your installs, everywhere, for the remainder of eternity. Make it an alias, or set export QUOTING_STYLE=literal in your .bashrc to achieve pre-8.25 behavior. A few points about the change. Not the answer you're looking for? Browse other questions tagged debian ls quoting upgrade coreutils or ask your own question. How to remove a single quote from a file name? Why does parameter expansion with spaces without quotes work inside double brackets “[[” but not inside single brackets “[”? Why quotes are retained in string variables when surrounded by single quotes?